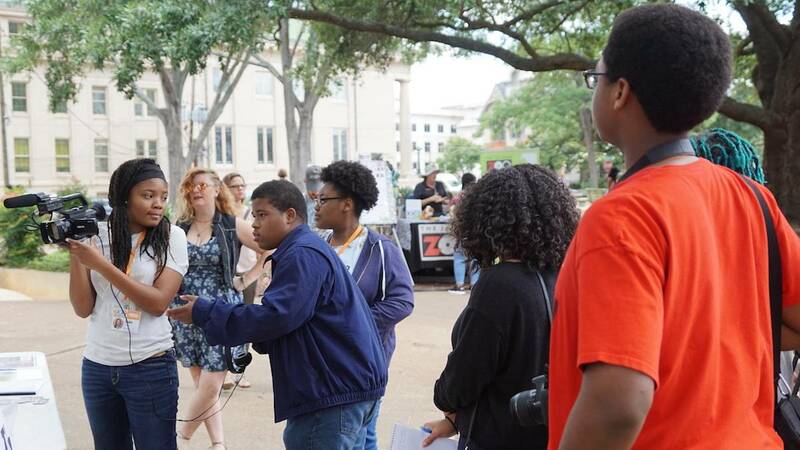 Mississippi Public Broadcasting has teamed up with other organizations this summer for the Mississippi Youth Media Project (YMP). The YMP trains diverse teenagers ages 14 to 18, primarily underserved teens, using digital technology to produce high-quality multimedia to share their own stories and report on their communities with rigorous solutions journalism. The goal of YMP is to reduce school dropout, inspire more first-generation college students, and bridge the workforce skills gap by preparing students for an evolving workforce with 21st century jobs that haven’t been created yet. YMP students learn career technical skills audio/video technology and communications. The program mobilizes learning through technology by focusing on the arts and media and highlighting careers in the tech industry. YMP enhances the creativity of young people and connects with students through innovative school partnership programs, after-school education programs, and an intensive summer program. Las week students from the YMP learned about interviewing. The studnets did man on the street type videos in Smith Park during Food Truck Friday.